Already known for its extravagant projects, it has recently been announced that Dubai is to build the worlds largest indoor ski resort, with a 1.2-kilometre run. Dubais current indoor ski resort, opened in 2005 in the Mall of the Emirates, remains the largest in the world, according to the Guinness World Records website, boasting a 400-metre (yard) slope. The slope runs year-round, despite summer temperatures in Dubai that can top 45 degrees Celsius. 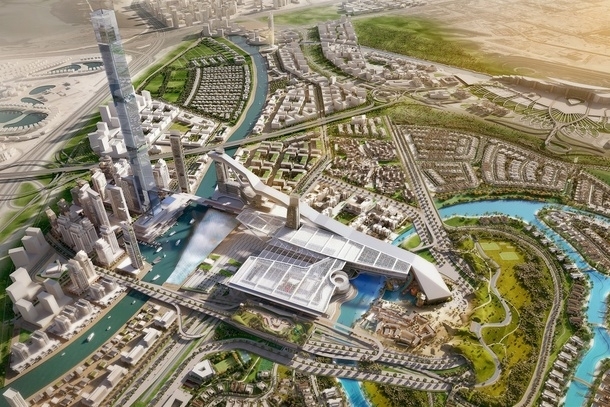 The new covered ski resort comes as part of a scheme dubbed Meydan One, also to include the worlds tallest residential tower at 711 metres (2,333 feet), a dancing fountain sweeping up to 420 meters (1,378 feet), a vast shopping centre, a 350-room hotel and a marina.Estimated to cost of up to 25 billion dirhams ($6.8 billion), the project is to extend from the Meydan race track in the desert to Burj Khalifa. The first phase of the project, eventually to house up to 78,000 residents, should be completed in the next five years, in time for the UAEs hosting of World Expo 2020, according to its promoters. The emirate, which has also emerged as a tourist destination, last year logged 13.2 million visitors, and aims for 20 million tourists by 2020.